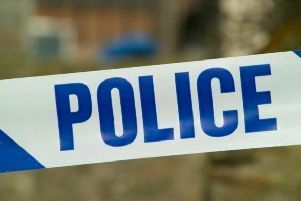 Police are appealing for witnesses following the theft of a bike in Netherfield. At approximately 3pm on Sunday (September 16) a teenager and his friend were approached by two teenage boys in the park between The Hide and Farthing Grove. One of the teenage boys was on foot, the other was on a bike. The two boys asked the victim for his bike so that they could do a wheelie. He allowed the boys to take his bike but one of them then rode off on it. The victim chased the boys and caught up with them, took hold of the bike and asked for it back. The two boys refused and threatened to stab the victim, one of the boys started to move their hands towards their bag, as if to retrieve something. The victim then let go of the bike and the two boys rode off. The first offender is described as a white boy of skinny build, aged between 14 and 18-years-old. He is approximately 5ft 7ins to 5ft 8ins tall and was wearing a white puffer jacket and tracksuit bottoms. The second offender is described as a white boy, also of skinny build, aged between 14 and 18-years-old. He is shorter than the first offender and has brown hair. He was wearing a dark grey hooded top with the hood up and a black hooded jacket on top. He was carrying a black bag. The stolen bike is a red Carrera Karaken mountain bike. It has reflective blue tape on the front of it and yellow reflective tape on the back. The bike also has a chip on the top of the frame.